I will unwrap the Fab Bag today. Every month, I wait for this bag as the bag itself is as enticing as the product sample within. This month’s bag is extremely cute. Just look at it yourself, the printed bag is loaded with cuteness and is the perfect choice to carry the makeup essentials. 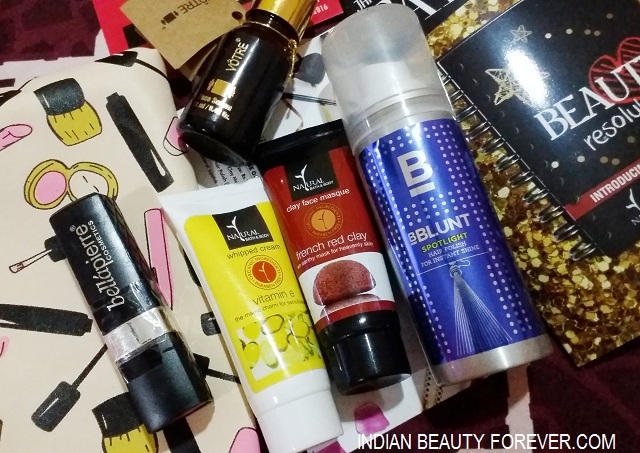 I received 4 sample products in this month’s Fab bag. Let's find out what are those. The serum comes in a dark glass bottle which has a dropper at the top. The dark bottle prevents the essentials oils in it from getting bad. I will be using this face serum since winters have taken a toll on my face and my skin is getting drier. This is for 1670 rupees for 12ml. I already have full sized bottle for this product but this tiny bottle will be apt to keep in my bag for that instant shine. It costs 250 rupees. These 2 products have really caught my eye as the red clay mask will be good for my combination skin and the vitamin E whipped cream is extremely hydrating and makes the skin velvety. I really liked them both. Just used it on my arm and loved the feel and texture of the whipped cream. Last but not the least is this Bella Pierre Mineral Lipstick in the shade Ruby. I already have this and when I got the newsletter from Fab bag to pick up a product for January Fab Bag, I chose this again as the color was beautiful and also I can gift this to my acquaintances or relatives. 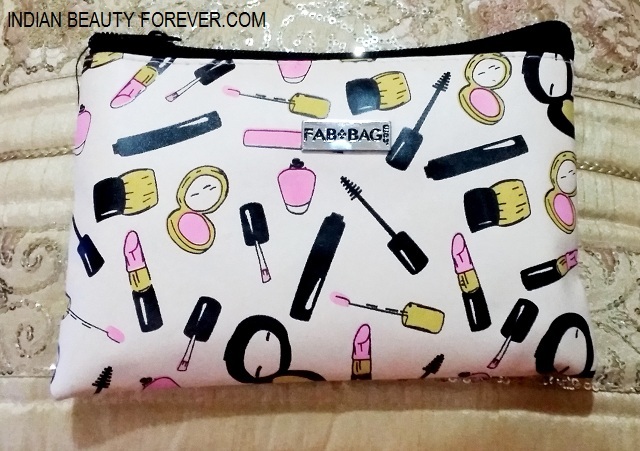 January Fab bag was the beauty Resolution bag considering January is the month when we make resolutions. 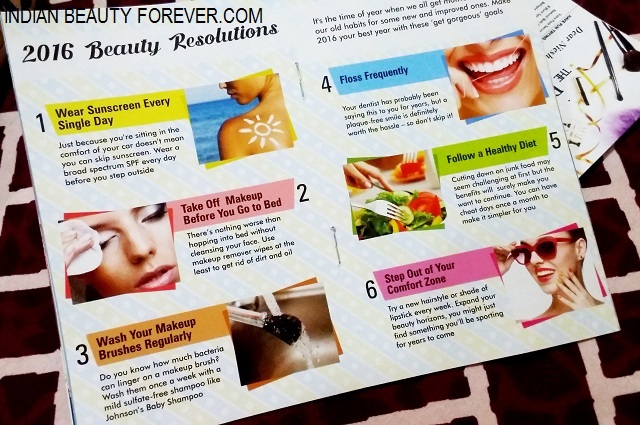 I liked the 6 beauty resolutions that are there in the Fab post. Have a look. I really agree with the sunscreen application, makeup removal before going to bed and healthy diet. Not that I don’t agree with the rest. I will say go and pick up the January Fab Bag soon to get this cutesy pouch and the samples which are really good for the price paid. I'm impatiently waiting for my bag to arrive. 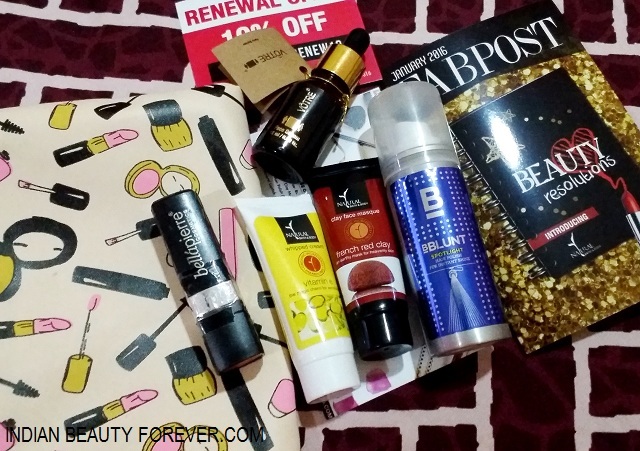 This month's bag has some great products. I was jot sent moodmatcher lipstick which i chose rather i got seasoul candle... disappointed this time..
Nice post. Kindly visit: http://www.couponsqueen.in/ for online shopping coupons.